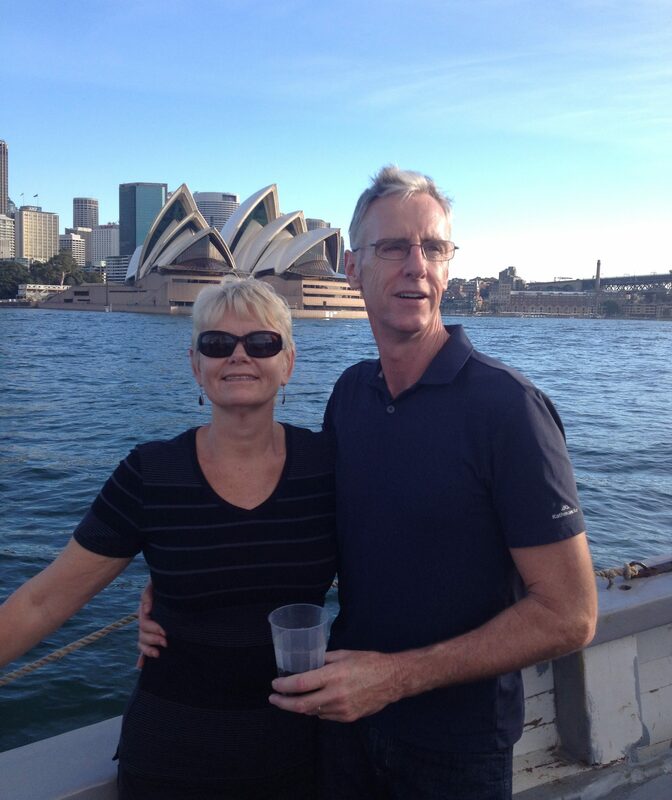 After raising three children each and meeting in our mid forties my husband James and I have worked together to set ourselves up to retire in our mid fifties and travel on a pretty strict budget for as long as we can. The blog is about our travels, our struggles and our achievements. First day back in the North Island bought a pretty big travel day to New Plymouth via the coast road which didn’t really bring much of any views of the coast but was nice drive all the same. Whanganui bought us our lunch stop and a real surprise at how big the town was and how many beautiful old buildings there was. Another gem. As you drive closer to New Plymouth you begin to see the unique feature of Mount Taranaki ( Egmont). It’s an outstanding natural feature of Taranaki. New Plymouth is hosting an Americana weekend and we had noticed a few cars waving American flags. We drove into the city but didn’t see much happening but we did pass an American style diner with some groovy old cars parked outside. We booked some accommodation on booking.com for New Plymouth but it’s more an Airbnb setup with separate accommodation under the couples main home. Our stay in Wellington was a beautiful huge en-suite room in a Victorian home. Where the carpet is original and still in great condition and obviously made especially for the room with border pattern around fireplace and room edges. The weather improved the next day for our trip through state highway 43 better known as the forgotten highway. All the great scenery you expect from Taranaki, rolling mountains, Sheep, cows, goats and more of those windy roads. Whangamomona is the township well should I say The republic of Whangamomona is where people come to either stay overnight or take a meal in this historical town that time forgot. We had a ham salad sandwich each that was huge, then after checking out the village moved on through towards Tokaanu a small thermal town on the shores of lake Taupo, NZs largest Lake. Our accommodation would best be described as rustic but we had a bathe in the private onsite thermal pools and relaxed. The next day we drove into Taupo and had a coffee etc before driving to Huka falls. A lot of new paths and infrastructure has been put in since we used to visit 30+ years ago and was highly enjoyable just walking and watching both the falls and the jet boats as they rode people in as close to the falls as they could. Onto Rotorua and after looking at the entrance fees to the geysers decided that as we’d seen them in Iceland and I had been to all these thermal areas in years past we would after having a walk around the waterfront look for some accommodation close to a beach for a few days total break from driving. A place came up in somewhere I’d never heard of but checking on the map close to where we’d been looking. The price was great and the photos showed a comfortable property right on the sand dunes with a hot tub positioned on the dunes that looked fantastic. We hesitated thinking it all looked too good for the price but decided why not so pushed the book button got a confirmation and set off to paknsav to stock up before heading to Pukehina for our three nights travelling respite. What a find. The beach was mesmerising and we didn’t bother leaving Pukehina till we were forced to leave as our reservation couldn’t be extended due to other lucky people having booked it. Bliss, good weather, books to read, waves crashing on the beach just metres away, very very few people around to be seen, and the night sky just as mesmerising as the sea. Thursday the 28th February saw us sadly heading off and we decided to call into have a decent look at Waihi beach as the weather was still beautiful and it was lovely to have a beach walk there and a sandwich and coffee in the village before heading into Waihi town for another quick look around and then back to Te Atatu before the after work traffic makes the trip tiresome. Back into Te Atatu and staying at Graeme and Kirsten’s where dad is now comfortably living back at after his three months in the hospital system due to his fall in October. Friday saw us driving into Auckland city to catch up with Paul and Michelle who drove down from Omaha so we could meet our mutual friends Laurie and Chris that we met on our 2017 world cruise and Chris’s sister Marilyn and husband Kevin. We began our day driving the waterfront to the lookout past St Helliers looking out over the Hauraki gulf and Rangitoto the famous volcano that is a predominate feature of Auckland harbour. Coffee, scones and muffins down in the village was followed by Parnell rose gardens, Auckland museum and the winter gardens at the Domain and into Parnell for a walk through the town which is character filled due to the historical homes been turned into shops and restaurants. By now it was around 4pm and a bit of belly fuel was called for. We sat eating and chatting and then it was time to drop them off at the ship so they could walk to the viaduct before they sailed away to their next destination Tauranga. Paul suggested we went for a drink back at mission bay to allow the after work traffic to abate before driving to our respective abodes. Great idea and sitting on a balcony upstairs overlooking all the happenings below Michelle and I enjoyed a jug os sangria and the boys a jug of beer. It was around 8pm when we got home from a great day of catch ups and touring. Ps we all got in for free at the museum by pretending we were all Aucklanders. After spending a day at home cleaning the car and going through photos on my iPad we packed up our car on Sunday the 3rd and headed up to Omaha to spend our last little beach holiday with Paul and Michelle at their comfortable home. The weather has remained excellent and so an afternoon swim was had before we popped the champagne and Michelle cooked a beautiful lamb roast dinner. We ended up staying up past midnight watching a three part quirky show called Mrs Watson. Come Monday we packed up the esky and their land cruiser and headed to Pakiri where we had a great walk and picnic lunch. Paul lead us on a tiki tour on the way back where we found alpacas and awesome coastal views. Mathieson Bay was our swimming spot and swimming out to the pontoon was fun before we relaxed and cracked open a beer each for the boys and a vodka and lime and Soda for us girls. We took advantage of the ten dollar burger deal at Matakana rusty pelican on the way home. Another evening spent watching a three part mini series called Manhunt. Good show with. Martin Clunes. Tuesday the boys went off climbing a mountain which they said was pretty hectic and like climbing a ladder. Michelle and I went into Warkworth where Michelle had an appointment and I mooched around the shops grabbing a few bargains for our next adventure and we enjoyed coffee and scone before hitting countdown and heading home. Swims at the beach was what was making this feel like a real kiwi summer holiday and with a few sundowner drinks and great home cooking along with enjoying laughing with our friends it always seems like the time to go comes around too soon. Thursday morning came around and we hugged our mateys goodbye till the time we see each other again somewhere in this big world. Part of the countdown to leaving N Z was of course getting our car sold. James did a terrific job of cleaning it up to look new and it was posted online and sold within a few days. Little blue was a great purchase and did a grand job getting us safely all around NZ, it was brilliant to see it going to a fairly new driver who will have a reliable car as they hone their skills on the road. Craig had us over for dinner along with Rex for a night of much alcohol consumption, food , laughs and we managed to get Craig to play the piano. An impressive effort after about 15 crownies. Kirsten’s friend Natalie and partner Albert came over with sparkles to say farewell on the Saturday night and then came on Sunday to take James for a swim while I tried to get this all sorted. Monday Graeme took Dad, James and I to Takapuna and onto Red Beach where we got dad out of the car and on a park bench to have lunch and soak up the beautiful sunshine and sound of the waves. This was the kind of day we had been hoping to share with dad more but with his fall we’re cheated out of. as the days to our departure get closer it’s time to look at all the things we’ve accumulated and sort out the packing. eeek we are taking more home than we came with and spent our last Tuesday packing our check in bags full of motorcycle clothes and helmets and other things I wanted to take home from mum and dads house to keep. Final family dinners, Farewell phone calls and of course beginning to make plans for our two week stay in Australia. Well New Zealand it’s been incredible. Thanks everyone who made the time to catch up, host us and share time with us. Met some fantastic new friends and we leave behind lots of amazing memories. We had made arrangements with Diana and her dad Rudi in Christchurch that we would stop and stay with them from Sunday. We met them on our 2017 world cruise and caught up with Diana and partner Frank when they were in Auckland earlier in our NZ stay. We were looking forward to spending some relaxed time with them even though Diana was working long hours at this time of the year. Anyway we started making our way towards Christchurch on the Saturday and at Ashburton a campervan show had us pulling over and paying the $5 admission to see what was on offer. This was quite a cool concept, there were new camper and caravans on display but also people were able to display and sell their own second hand ones. This gave way to a huge array of all styles, tastes and vintages and was a very entertaining wander. Stayed the night in a not so glamorous side of town but was brand new and quite well appointed. Sunday morning saw us off to visit Roz and Russ from our 2010 Cosmos tour, unfortunately Russ suffered a stroke late December and although looking great still getting tired after an hour or so. We didn’t, we hope over stay our welcome but it was fantastic to see them both and look through their new home. Great taste and after building something new decided to sell all their old furnishings and buy new. They could get a job styling show homes. Just lovely to see them. Onto Diana’s and Rudi’s to settle in for a few days. But we did go into the city gardens to watch the last of the summer free Sunday concerts. We met Frank there and with such a lovely venue and sunny afternoon no one went home disappointed. After a rest it was time to venture out to dinner at one of the best Thai restaurants I’d been to. We met Rudi’s other daughter Leonie, her husband Graeme and one of their sons Scott there to share the delicious meal. Thanks Rudi for shouting us all it was very kind. Monday bought more good weather and James and I headed into the cbd which from Diana’s is very close. After visiting the information centre we took the tram tour brochure and just walked it’s route. It’s an easy city to walk in as it’s all flat and I don’t mean that as a funny since it’s still recovering after been knocked ‘flat’ by several earthquakes. A lot of rebuilding has happened and lots taking place. Hopefully they will use this opportunity to build some significantly interesting places as a few looked awfully like dark boxes. We had a few good stops, one for coffee one for a lie down under a tree in the botanical gardens and one for lunch at the RSA. There are some great places to see and the Avon river running through adds something tranquil that lots of cities don’t have and still offering punt rides on the river quite charming. There are surprisingly a lot of very old structures that stood up to the earthquakes so still lots of historical buildings surrounding the new. Definitely worth taking the time to walk the city centre or take the tram tour if times an issue. Tuesday Rudi came with us as James drove Rudi’s flash motor to Akaroa. A place early family of mine had settled at when they first came from Denmark. The drive was scenic as it’s all volcanic and lots of beautiful bays as well as grazing hills. Akaroa was delightful and I’d like to go stay a few nights to fully enjoy its charms. It’s a Mecca for the tourist crowd and coincidentally the port of the day for the ship Columbus on its 2019 world cruise. The ship we sailed on last year for ten weeks of its 2018 world cruise. Of course we did run into two couples who had been on it last year and they thought about 60 repeat world cruisers from the year before. Young Leigh whom was part of the entertainment crew last year came past and he’s now the entertainment director. He didn’t look quite as fresh as he did last year. Another lovely drive home through lyttelton and it’s tunnel and it was rest time before sharing the evening with Diana. Wednesday saw us have a relaxing day at Diana’s catching up on our housekeeping administration and James had the car booked in to have the brakes checked to make sure all good for our journey back to Auckland. A lovely evening again with Frank joining us for a few hours and Rudi also coming in for dinner. It was a treat to relax for so many days in one spot and just as well as the next day we headed off thinking we’d probably take three days to get up to Picton. As it turned out we headed to Hanmer springs had a little lunch break there and not interested in doing the adventure thing or soaking in the hot pools on a warm summer day moved on back towards the coast and headed into Kaikoura where we were keen to stop and stay. Unfortunately no accommodation available so we drove on to Blenheim but not before enjoying watching a huge pod of dolphins having fun just off the beach. They were the most playful either of us have ever seen dolphins before. Literally doing 360deg flips and huge leaps. Was absolutely spellbinding and such a treat. We also stopped on the way further north to watch the seals. Sooo sooo many of them and lots of babies as well. They were vocal and entertaining as they waddled along, some having little fights, some swimming some just relaxing but really great. We got an upgrade from the hotel we booked in Blenheim to a really large studio apartment which meant we were also able to cook there as well. So we decided to book the ferry back to the North Island and call it time on our trip around the South Island. Headed into Picton early so stopped for coffee outside a cafe when who’s voice should we hear, none other than Duncan from our 2017 world cruise and consequent catch ups in Hong Kong, Auckland and their home in Opua in the bay of Islands. Soon Angela his lovely wife joined in the reunion and none of us could believe we had run into each other so randomly. What a great surprise and laugh. Wonder where we’ll next meet up? Finally snaring some accommodation in Wellington we were able to board the Interislander ferry with confidence that we wouldn’t have to drive for hours after disembarking to find a bed for the night. So long South Island it’s been another fabulous part of our road trip. HIGHLIGHTS WERE, obviously catching up with friends and making new ones makes the experience greater, but also the diverse scenery and wildlife feature big on our memories. The gorgeous towns we drove through that have retained their old heritage buildings and charm. Our flight over the glaciers and Lake Tekapo a big highlight. Milford and Doubtful sound we’re lovely day trips. The pancake rocks at Punakaiki, and the fact there are so many wonderful places just off the road to see and enjoy. The dolphins at both Riverton and Kaikoura plus all the seals we stumbled upon. The amazing forests and native bushwalks, and apart from the occasional rain we had a very good run with the weather. Let’s see what our trip up the West Coast of North Island, through the forgotten highway and up through Taupo etc brings. Our next stop was a backpackers in invercargill on the Burt Munro weekend. The town was full of bikers and lots of events to keep them happy. With so many great cafes, interesting buildings and lots of motorcycle shops and paraphernalia James was in his happy place and I left him at the motorcycle museum and headed off for a well overdue haircut. We had organised a catch up with Christel and Paul Raynes at their beautiful home and enjoyed a wonderful evening. It’s so special when travelling to have these visits with people that you know to give life a little bit of a normality and make you feel connected with your family and friends. The next day we took a drive to Bluff the very bottom of the South Island and loved all the old homes there. This is a town dripping in historical information and well worth a drive to for the great views of Stewart island and along with the fishing and whaling history some great chowder we believe. Wanting a little break from travelling we then headed to Riverton a coastal town not far from invercargill for two nights. We had chosen a bed and breakfast in an old two story home run by Barry and Sue who turned out to be quite the odd couple but very hospitable. Barry was the host listed but it was Sue doing all the work while Barry who had quite the eccentric personality was off ice skating or riding his bike while Sue did all the running of the house between them they had 12 grown children! One great thing about our accommodation was that we had a DVD tv and as I had never watched The worlds fastest Indian, the movie about Burt Munro and his landspeed record was great that they had it here in their collection so spent an evening sitting up in bed watching it. Anyway Riverton and the surrounding areas were beautiful and we really enjoyed our little trips to the different beaches around the area. The One day we kept on running into this one couple Sharon and Steve from England but like us are just travelling the world. We ended up sharing a bottle of wine at Orepuke cafe after they popped in knowing that was where we were headed next. It was delightful company and we hope to meet them somewhere else in this big wide world. On our way back into Riverton we decided to go to the town to check out dinner options when as we come to the bridge we see lots of people looking over the bridge railings so as James drove the car I stuck my head out to see what they were looking at to find it was a big school of bottlenose dolphins. Well they entertained everyone for about an hour as they made their way slowly out of the estuary, leaping and showing off in such a marvellous display. How wonderful it always is to see these magnificent creatures and the joy it brings to all who witness them. Our next journey was taking us onto Dunedin and having found some accommodation in the city we were able to easy walk around seeing all the beautiful preserved buildings of yesteryear. Including the gorgeous Dunedin railway station where we booked a trip on the Taieri gorge trip for the next day at 2:30, this would allow us to get up early and arrive at Larnach castle to get the early arrival special. Having contacted one of my dearest friends from childhood we caught up with Karen after she finished work at around 8:30 pm for drinks, quite a few drinks actually. But it was great to see her after too many years and she even called the next evening just as we were arriving funnily at the same bar for dinner and headed over to see us again. Awesome!. Sooo after our quite a few drinks that first night it seemed we didn’t feel quite as cheerful about getting up early the next day, BUT we did and so glad as the scenery along the way was out of this world. Sea mists of long white cloud enveloped the hills around Dunedin and with the spectacular waterways and mountains was jaw dropping. Larnach castle was gorgeous, so much restoration done and still going on. What a labour of love and devotion by the Barker family whom bought it in a rundown state and lived there while bringing it back to life. No small undertaking. Boy what a sad story the original family have. For all their wealth and community standing they either died young, killed themselves or bickered over the money. Our afternoon train ride couldn’t have been better timed as we headed back to our hotel from the castle for a rest and lunch before we needed to walk down to catch our train. Five hours of diverse scenery, outstanding building feats to make this rail journey possible to move goods throughout the Otago and beyond area. More unbelievable was that we were allowed to stand out on the open areas between carriages to take photos etc even over the viaducts with over 100 feet drops. The staff are fantastic and a real credit to the company. Making sure everyone had as enjoyable time as possible. Then a few more drinks with Karen afterwards topped off a Grand day. The gloom had set in low clouds and drizzle which later became rain, but, it didn’t dampen our enjoyment of our trip up the coast.stopping at Moeraki on Karen’s suggestion took us to the lighthouse and the unexpected seal colony. First there were signs and fences then next thing we’re in a large open area full of seals lying around while their fellow seals wandered around on rocks below and some swimming. We even spotted a penguin swimming. What a highlight. Best was everyone there was respectful and just loving it. We stopped at Hampden town for some world famous fish and Makikihi potatoes made into chips no they weren’t lying they really were that good. We drove into Oamaru and after a look around town and drive and coastal walk decided we would find accommodation here for the night. This town has so many incredible Victorian buildings and a real quirky feel. Certainly worth a look. Time the next day to take the trip inland to Tekapo and the gorgeous turquoise lakes. On the way the scenery was once again stunning with several stops for photos including several dams. Then just before we got to the lake we came to Tekapo airport with signs offering scenic flights, having already enquired at another airport and been put on a list we decided to take the opportunity when it was available and had a fantastic flight over Lake Tekapo and Tasman, Fox ,Franz Joseph glaciers and a close up look at Mount Cook. What a treat. Lake Tekapo didn’t disappoint but unfortunately the church of the good shepherd was overrun with tourists and a take no photo policy that wasn’t there last time. On to Timaru and a lovely overnight stay in a semi backpackers in another grand old home. The next day we were disappointed that we missed catching up with our relatives Nadine and Stephen from Darwin by perhaps an hour but luckily we will see them in April in their home town. We decided to drive towards Nelson which we did and after a late but substantial lunch began heading towards Takaka a lovely town with a hippy feel about it and found a great bnb run by a couple originally from Belgium. They have been living in NZ for seven years and have put together a lovely homestay experience, including spa tubs, indoor pool and sauna. Although we didn’t hear many voices during the evening there were quite a few in the kitchen/dining/ living room to enjoy breakfast the next day. Surprisingly most visitors were from Germany or The Netherlands and it was completely coincidental. Not one had booked knowing that the hosts would be able to communicate in German/Dutch With them. After our breakfast and our first full day in the South Island to look forward to we drove towards Cape Farewell and after a few lookout stops we decided the heat was just too much to go trekking out in the full sun and ventured back to Puru springs to walk a short spin in the bush and check out these beautiful clear water springs. We started driving towards Westport when I saw a sign showing St Arnaud was not far off the track. I remembered how beautiful it was from when I had visited many years ago and so we ventured there and weren’t disappointed. We decided to look for accommodation in the town and found a ski lodge that takes bookings all year round and run like a backpackers. Super clean and great facilities. The next morning we drove up Mount Robert to take in the views of lake Rotoiti and took a walk up one of the tracks through the Forrest before heading back towards Westport. We made quite a few stops to view gaze and happily made Westport early afternoon and snagged a great room at the Tripinn backpackers for two nights. What a lovely room in this old historical mansion with en-suite for $100 a night. We headed off to Tauranga Bay and the seal colony during the drive the road and coast was covered in a sea mist and when we arrived we couldn’t see the beach to start with, but as we walked it cleared into a beautiful afternoon with great views and incredible ocean waves crashing on rocks and lots of NZ fur seals lounging around then braving the waves and sea to head off oozing for their dinner. We walked towards the lighthouse and back before heading back to town to shop for supplies and cooking risotto in the large shared kitchen. Our room was everything we expected, comfortable, roomy and we were delighted that it was also very quiet. There was a 9pm curfew for drinking and all quiet after 10:30pm. I think most we tired travellers whom were glad for a good bed and early night. The next day we headed to Karamea and onto The Oparara Basin where you walk through the native bush to either the Oparara caves or the Moria Gate Arch. Both fabulous walks and sites. We planned to head to Dennison and old mining town and great view point but the sea mist which had cleared briefly was back, but with over 100 kms back to Westport and 16 kms on gravel to start we weren’t home much before 7pm and with the kitchen in full action we’re glad we were heating up leftover risotto only. The next morning was Friday February the first and we packed up the car and headed towards Greymouth stopping at quite a few lookouts along the way to check out the Wild West Coast in all its wind swept glory including perpendicular point. A couple of walks down to beaches and then onto Punakaiki tavern for coffee and out onto Punakaiki coastal walk to view the pancake rocks and blowhole. This area lies on the edge of the Paparoa National Park and was fantastic. Especially on such a wild day. We headed into Greymouth but the weather had turned to heavy rain and so after heading to a cafe for lunch decided against visiting The Shanty town attraction with its gold mining history and head into Hokitika where we picked up a cottage for the night on Airbnb. Pretty nice to have a whole house to ourselves and three bedrooms to choose from. Old home but we’ll set up for travellers and we cooked a lamb roast for dinner. The weather actually fined up later in the day but was so late in the afternoon that it wasn’t worth going out and we used to the time to relax. Saturday the 2nd February saw us heading to Hokitika Gorge for a walk to see what is normally Turquoise waters but after the rain more milky but still pretty. We got back on the highway and headed to Ross a historic gold rush town and stopped for lunch before making our way towards Franz Joseph Glacier where we headed in for the one and a half hour walk. I was devastated to see how much the glacier had receded since we took the kids there in 1996. Unbelievable really sad. We headed on towards the Fox glacier area where we booked a hotel for the night. Spent the evening looking and booking accommodation for our three nights in Singapore in April. Once we have confirmed bookings with Andrew and Jett for their arrival in May will book those too. Always something to plan and sort out to keep the travel plans in action. Our Sunday turned into a marathon of walks all the way to Wanaka. Lookouts, walk around Lake Mathieson and The blue pools saw us head into Wanaka later than we normally do and with few accommodation options ended up in a hotel near the golf course which did have kitchen facilities so we saved again cooking at home. Monday we had a walk around the town centre and then a drive around the lake before driving on to Cromwell where we had booked two nights due to costs and low availability in Queenstown. Actually this ended up being one of our best rentals. Really decent sized studio with free laundry services and decent sized kitchen bench and brand new bbq outside. Again we cooked both nights here and even froze a meal to take on with us to Te Anau to heat through in our electric frypan. Our day in Queenstown was enjoyable from the walk round the lake, walking through the town, which had grown exponentially since I was last here, and a great view from up the gondola. Again pricing kept us moving on but not to anywhere cheaper, Te Anau was probably the most expensive we had paid so far and not that awesome but was a really great location right in town and right across the road for our pick up by coach on the Thursday down to Milford Sound and cruise. Nice for James to have a rest from driving and it was a very pleasant day. Not much in the way of waterfalls as it’s been dry here for a few days but the scenery all day wasn’t too hard to take. What we did like is that the coach had a glass roof and really large picture windows on side of coach. We’ll set up for everyone to see maximum views on the trip. Great coach driver/ orator as well. We went with Go Orange. The next day we spent on a tour of Doubtful sound. Attractive scenery once again and met some lovely travellers whom were great to share the day with Katherine from Singapore travelling solo and Tammy and Louise driving around in Big Bertha their massive rental campervan. Thanks girls you made a great day even better. After getting off the tour we had booked a night at Mossburn old railway hotel less than 100 klms on so with an easy drive and comfortable accommodation, great in-house restaurant and pleasant staff we were very happy campers. After 16 weeks based in Auckland with the occasional side trips to some beautiful northland areas and visits to family and friends we packed up the car and waved Auckland goodbye as we headed South on our no plans road trip. The new owners of Matipo Road the old Shaw family home since 1956 take possession this week and start their redecorating. We look forward to catching up with them on our return to Auckland to see what they’ve achieved. Meanwhile we are going to let go of all the stress of cleaning out the house and saying goodbye to the property where lots of memories were made and enjoy seeing more of this beautiful country. After leaving Auckland our first stop was Waihi for James to fuel up his belly and I bought some 3/4 pants which are nice and light for our trip. Waihi is a cute old town with enough going on to make it a place I’m sure people enjoy living there. A quick stop off to my niece in Welcome Bay to gift a punch bowl set we headed on to Whakatane for our first night stop. $99 for the night got us a clean double room with en-suite at The Whakatane hotel in the Main Street. Complete with shared kitchen facilities, laundry and comfortable lounge area with outdoor seating we felt we did ok.
Dinner will be bbq chicken, salad and rolls we bought at countdown. Got to use these facilities when we have them. Over the next days we traveled the coastline as much as we could stopping for a night in Hicks Bay at the hotel there. Gisborne in a bnb run by two gorgeous older men with lots of little home made treats and luxury aircon. Napier in another bnb and from which we were able to visit my sister in law Jan and her partner Alan in Taradale. The scenery was great particularly from Hicks bay to Gisborne. We arrived into Wellington early evening on the Friday and decided to book for three nights and take the ferry to Picton on the Monday morning. We lucked in getting a studio in The Terrace, right in the cbd. A pleasant walk to the waterfront for pizza and a bottle of red wine. A treat as we had been cooking wherever we were at which sometimes was as basic as two minute noodles at Hicks bay when after taking the coast and walking up the East Cape lighthouse we were too late back for takeaway shop or general store. Our first full day in Wellington was spent at Te Papa museum. After going through the Gallipoli exhibition and New Zealand’s migration and indigenous peoples history we were thrilled to have purchased tickets for their exhibition of The Terricotta warriors from China. The next day started rainy and overcast so we headed up the Coast after doing a reconnaissance for the ferry next morning to Paraparaumu to The Southward car museum. We also visited a few of the old haunts from the days I had lived there back in the mid 80’s. Before we knew it we had been gone from Auckland a week and were lining the car up at the wharf to drive on and start our South Island adventure. It was an early start to be on the wharf by 7 pm and after a lovely crossing we arrived at Picton around 11:30. A TASTE OF HOME AND REALITY. We left Croatia having experienced that true being on holiday feel. Six weeks of down time, something most of us haven’t experienced since we had Christmas school holidays. (Our summer holidays in New Zealand and Australia). We flew to Frankfurt via Zagreb and enjoyed three nights catching up with Andrea and Thomas and their boys. We also managed to share a dinner with Scott whom was in Germany on holiday. We hadn’t seen him for six months so was a fun evening with him entertaining everyone as he turned on his charm. From there it was premium economy home to Sydney and 23 days of getting all our housekeeping appointments done eg: doctor,dentist, accountant, bank,real estate etc etc and enjoying spending time with friends and family. After spending a night at our fabulous friend Cathryn’s we were back in our caravan at Umina Oceanbeach holiday park. It’s a bittersweet time, you know that a lot of the people you catch up with that it will only be the one time as we’re always pushing to get everything done in the timeframe we had allowed. We had made a pledge when mum died in June to all go back to New Zealand for what would have been her 90th birthday and spread her ashes and do a clean up of the house, shed and garage for dad. As it was it became a clean up so that the house could be sold. Dads stroke two weeks after mum died forced the situation that he could not live alone in the house. Getting mobile and able to live at my brothers house was the alternative to going into rest home. Either way he wouldn’t be living in the house he and mum had bought in 1956. James and I flew out of Australia and onto New Zealand before our feet really felt like they had touched the ground. And in New Zealand we had to hit the ground running. We had a week before my other two brothers were due to arrive to help for a bit so we busied ourselves getting the place clean. In the end it was two 15 cubic metre skips full of garden and house waste along with countless trips to the opportunity shops to bring things to a manageable and comfortable level for living in and to put the house on the market. The house sold quickly and we were able to live in the house till settlement January 25th 2019. While the four of us were together along with dad and my sister in law and two nephews we spread mum’s ashes in a private moment before going to lunch to celebrate what would have been her 90th birthday. All four of us have different personalities but we all banded together to make all the things happen so that both mum’s wishes and dads needs were taken care of. Unfortunately dad suffered a fall and cracked his pelvis and was hospitalised while this healed. We were saddened as we had hoped that while we were here we would be taking him out for little day trips. Instead we were visiting him in hospitals and interim care provided at a rest home. After the brothers living in Aus left and the house sold we were then able to take some trips away rediscovering the beauty of this spectacular country. From staying with our friends Paul and Michelle ( our 2017 world cruise buddies) in Omaha a couple of times, to three nights in Paihia the Bay of Islands, overnight on Waiheke, three nights in Pukeatua at Out in the Styx guesthouse and a night at Mount Maunganui and finally making it to the Coromandel Peninsula the time up till Christmas was spent really enjoying the magnificent scenery, company of good friends and family and lots of day trips in the car or motorbike. James has really enjoyed having a motorbike again and especially the time to ride it. My brother Graeme has been generous with his time going for rides together and inviting James to go along with his friendly group rides. We’ve enjoyed several Sunday afternoons going to Jervois Road to hear Leza Corban sing. Leza is a school friend and is extremely talented and just a joy to listen too as she sings a whole slew of genres. What a great way to end a weekend, a few wines and good music with a bit of dancing as well. We’ve also been spending quite a bit of time on our iPads researching for our next few years of travel. We have a couple of definite things planned and some loose ideas of what to do around them, research is invaluable so we don’t arrive somewhere without the necessary visas and or documents to prove we’re moving on ( some countries like NZ require proof of forward travel to allow you in). Of course in NZ those rules don’t apply for those travelling on an Australian passport. It’s a difficult thing to want to remain fluid enough to take up opportunities as they arrive but still prepared so you can. The weather has been a little unsettled but when the sun shines it’s spectacular. Christmas time bought brother Jeff back and the new year brother Richard and his daughter Paris. Good family time and a chance for everyone to spend time with Dad and enjoy the last days of The Shaw family home. We spent New Years at Omaha with our friends Paul and Michelle, what a hoot. They have made some wonderful friends up there whom welcome us along as well to all the fun and festivities. More great memories made. It’s been great to catch up with so many friends from my childhood and it seems the years just deepen the bonds of affection and respect we have for each other. As the last days of our stay in Te Atatu come to an end we are swiftly emptying the rooms and preparing for our next adventure of road tripping down through the North Island and over to the South Island before we will return to Auckland to say goodbye and fly to Sydney on March 14th. The last four weeks of our time in Cavtat have been spent truely relaxing with just the odd day trip to tick off a few on the nearby “to do” list. This meant taking the local bus one Sunday morning to Cilipi a nearby town where every Sunday during the season they put on a folklore morning. For a small price you get a welcome drink, ticket to the local museum and the folklore dancing show. It was well worth it and we would highly recommend it if you’re in this neck of the woods. Many of our days were spent waking up going through emails and Facebook from home, then breakfast before heading to “our” spot on the beach as they call it for the next 6-7 hours. This entailed swimming, reading, napping, chatting to our regular Croatian buddies, coffee and lunch after the noon bells from Saint Nicolas church ring out, watching the different boats and ferries come in and out and just soaking up the ambiance oh and the occasional ice cream. It’s then home for beer/ gin o’clock, dinner and often a walk around the peninsula in the evening with the occasional cocktail before home, tea and perhaps a tv series on the iPad before sleep time. Bliss Bliss Bliss. If you asked me was 6 weeks too long the answer would be a definite NO. This has been the most wonderful summer holiday in such a beautiful location that we would happily return each year. If property wasn’t so expensive here on the Croatian riviera and rules for foreign ownership not quite so difficult we’d be buying in. Saying that we have been extremely spoilt with our hosts Michael and Mira. They come in once a week to do a thorough clean and top up soaps, dishwashing liquid, toilet paper and change bed linens. Other towels and tea towels changed every three days. They are becoming like close family friends and we had a delightful long lunch with them at their villa upstairs eating great food and drinking probably too much wine and different limoncello’s. Oh well none of us were off to work after so all good. My lilo got a hole in it 😞 but luckily someone finished their holiday and left one shaped and decorated like a pizza slice at the beach so after two days we claimed it and I’ve been floating around on it ever since. Even the girl at the ferry ticket stand when we went to take the ferry to Lokrum island asked why we weren’t taking the pizza slice with us. Lokrum island is just off the old town of Dubrovnik and we’ve passed it many times and finally on one of our last few days we visited it. What a treat. As a National Park it’s beautiful and there is just so much more to this island than just the most incredible coloured waters and great swimming. There is an old monastery which also had links to those Habsburg’s which are everywhere in Europe, an old fort, a botanical garden with even a few “exotic” gum trees and bottle brush from Australia, and so many other incredible little bays and areas to discover oh and a nudist beach. A few restaurants and bars help make it a great visit. But Lokrum wasn’t the only trip we did these last few weeks we took a full day trip to the island of Mljet island and national park as well. This was an early start and a fairly long ferry ride from Dubrovnik main port. We had a very pleasant day there and enjoyed all that the trip offered but feel Lokrum was probably better value unless you stayed a few days at Mljet which is not an option for Lokrum. On Mljet you can hire push bikes or scooters so you could really explore the island over a few days as it really is quite large. Another day trip which we thoroughly enjoyed that also meant an early start was a fabulous day going to Korcula island via Ston with its walls similar to those of the Great Wall of China, its salt ponds and with a wine and grappa tasting on the way home it was a real winner. Korcula was just the loveliest town and we would again recommend this at the least as a day trip if not overnight or few days visit. Marco Polo was born here so of course there is the museum etc to visit, lots of great little shops, narrow lanes where people live and many restaurants enjoying the beautiful views from almost everywhere and that was just the main town of Korcula. This is a pretty big island and you could probably spend a fair amount of days tripping around to the other villages. We also finally got to the house of Cavtat’s favourite artist Vlaho Bukovac whose family home is much larger than it appears on the outside and is now fairly empty apart from some furniture from back in the day and his paintings some which actually decorate the walls as frescos. There was fairly large grounds for this area as well. The artist is buried in his family’s tomb at the gorgeous Cavtat cemetery. And I finally took a peek in The lady of the snow Church and Monastery here in Cavtat. It actually had some pretty amazing art work and one wall structure that took my fancy. I’ll post a photo and I’m sure you’ll see which one I think was amusing. As our days run out we will remember always this great visit with much happiness and hopefully we will return. One things for sure I’ll never get sick of looking at the photos of Cavtat and know that I left a big chunk of my heart there. Our next plane ride is to Frankfurt with a three night stop staying with Andrea and Thomas those lovely dear friends whom put us up late last year when we visited Germany for the Christmas markets. Will also catch up with son Scott who will be in Frankfurt as well that weekend before we all fly home to Australia on September 3rd from Frankfurt.